A well-known critic of vegetarianism, Stephen Colbert is constantly putting green vegetables on notice. Colbert's latest stunt involves a plant-based alter ego named Stephen Kohlrabi. Tune in to this week's edition of The Kohlrabi Report for more! 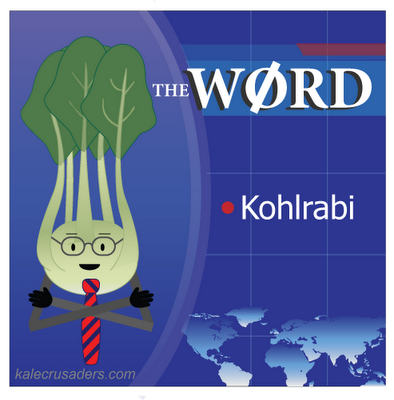 Like Lord Colbert, Mr. Kohlrabi is sweet and mild. He is open to trying all sorts of new things, including light salads, hearty soups, and spicy Indian fare. Following Colbert's lead, Kohlrabi holds snacktime second only to naptime. P.S. Hattip to Kale Crusader Sara for nominating Kohlrabi. According to Sara, "It's an awesome veggie, and though no one in the US knows it, everyone in Germany loves it!" 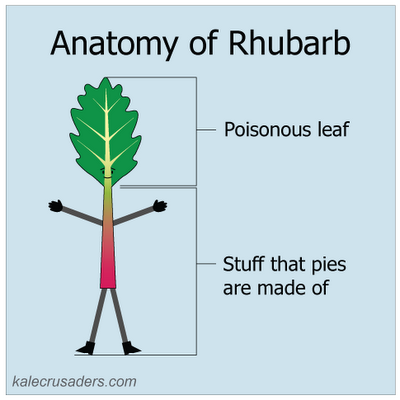 - Rhubarbra Streisand, "Sweet Ins-pie-ration"
Rhubarb is a bit of a sugar addict. In crisps, muffins, or pink drinks*, Rhubarb and sugar are inseparable and delicious. * Junior Kale Crusaders, please avert your eyes. Pintorest just closed a round of funding that values it at 1.5 billion beans. 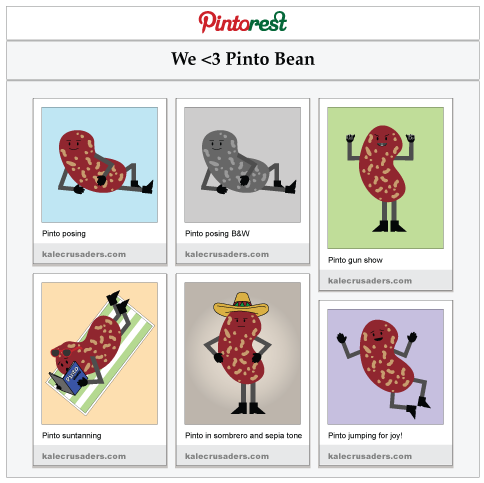 That makes it the coolest and most lucrative way to organize and share your favorite Pinto Bean images with the Web. Mr. Bean travels the world in search of the perfect photo-op but our favorite shots take place in the not-so-exotic locations of chili, refried beans, and enchiladas. Delish. P.S. We love Pinterest (note the real spelling)! If you are a Pinterest employee, thank you for sharing your logo's source file on your website. We hope this particular use of your logo leads to a chuckle rather than a cease and desist letter. Do you know what time it is? It's time for us to show Fava in a new light. 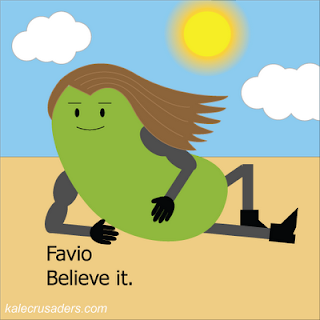 Favio loves lounging on the beach, flexing his muscles, indulging in butter substitutes, and packing picnic baskets. To fulfill your fantasies of having lunch on the beach with Favio, your next picnic spread should include spicy fava bean falafel, fava bean bruschetta, and a fava bean, curly endive, and fennel salad with blood orange vinaigrette. P.S. This is a Kale Crusaders first: a second entry on the same food. Not to worry, we haven't run out of underrepresented foods, but we just couldn't wait to show off this stud. Jicama is sweet, crunchy, and fresh all at once. He may be a bit of a surprise to the uninitiated, who might be tempted to ignore him given his unassuming outside. But it's Jicama's inside that counts! Rolled, wrapped, tossed, and doused in citrus, Jicama is worth befriending. P.S. 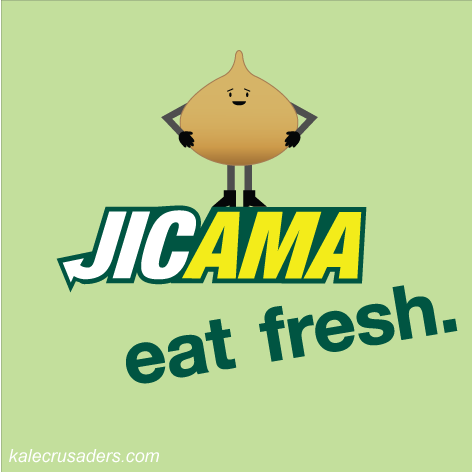 Hat tip to @pjrvswp for nominating Jicama. Happy (early) Mother's Day! 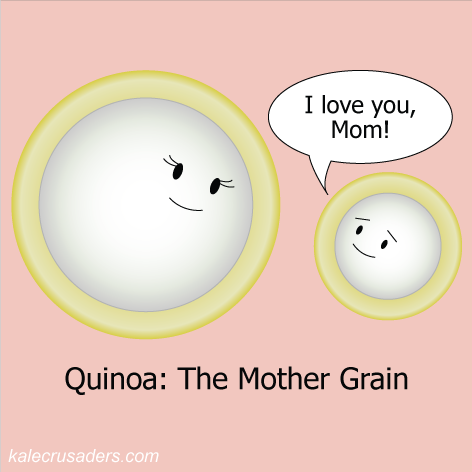 The Inca's were the first to recognize Quinoa's awesomeness in taste and nutrition, bestowing unto her the title of "Mother of all grains." 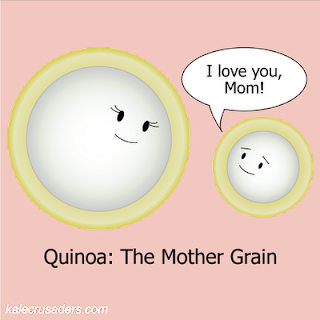 Biologists went for a more dry definition, classifying Mama Quinoa as a pseudocereal or pseudograin. Let's take this as a lesson: biology can't define a grain or a family. Happy Mother's Day to our Kale Crusader Moms! The Swiss Chard crew is one colorful bunch. Although their brilliant colors fade with cooking, their deliciousness pops in salads, noodles, and pies. 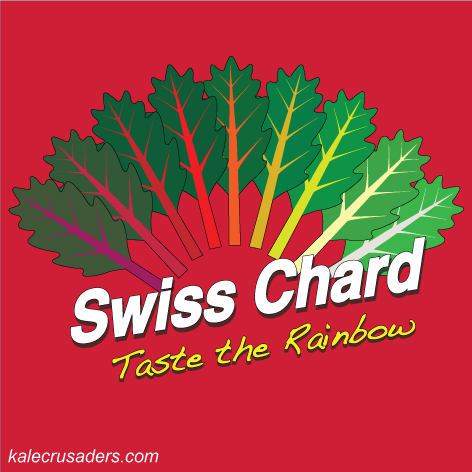 Make way, colorful pre-packaged snacks: Swiss Chard is the new tasty rainbow in town! 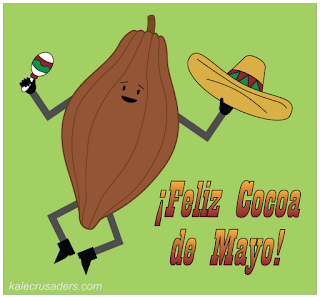 Like many Americans, Mr. Cocoa Bean (Señor Cacao en español) is gearing up for a Cinco de Mayo celebration. Join Sir Bean in honoring Mexico's May 5, 1862 victory over France by indulging in chocolate chia pudding, Mexican hot chocolate snickerdoodles, and mole-covered everything! P.S. San Francisco Kale Crusaders: Remember to reserve your on-demand mariachi band today! Happy May Day! According to pagan tradition, May 1 marks the first day of summer. Not ones to argue with premature declarations of summer, Kale Crusaders Headquarters is hosting a cookout in celebration—tropical style. 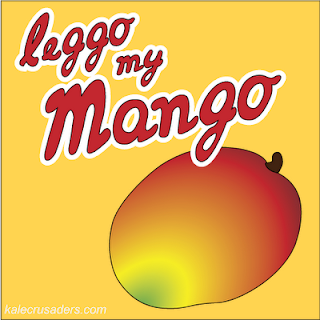 On the menu: mango pineapple salsa, mango guacamole, spicy mango skewers, and mango lassi to wash it all down. What are your May Day plans? P.S. Curious about the logo? Check out this fine piece of YouTubery.